Limited scholarships available. Please email director@ganisraelsa.com for scholarship application. All scholarships must be submitted by May 1st. - * NEW! 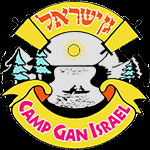 Camp Gan Izzy is now offering a Counselor In Training program for girls 8th - 9th grade, and boys 7th - 8th grade. CIT's will have the opportunity to learn from the best in how to effectively work with children, and training on how to be a Gan Izzy counselor. Their time will be split between being support staff, training workshops, and swimming, activities, and occasional trips, just for CIT's. CIT registration is not an acceptance. Once we receive the application, we will set up an interview with the CIT candidate and will solidify plans from there. If for whatever reason its not a good plan for your pre teen/ teen, we will refund any monies put in towards it. The CIT program will be tailored according to the amount of CIT's participating. Of course, please don't hesitate to reach out with any questions, comments or concerns!